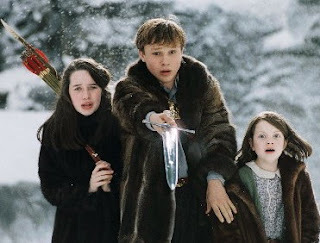 What must the inhabitants (especially the animals) of Narnia thought of the Pevensie kids when they showed up wearing fur coats? Maybe they thought it was their own fur? Or perhaps it was a case of don't ask/don't tell: the children wouldn't tell where they got their fur coats, and the beavers wouldn't tell where they got their potatoes, flour, sugar, oranges, milk in a land where it was always winter and no trade was allowed. Narnia was in Communist Russia? !